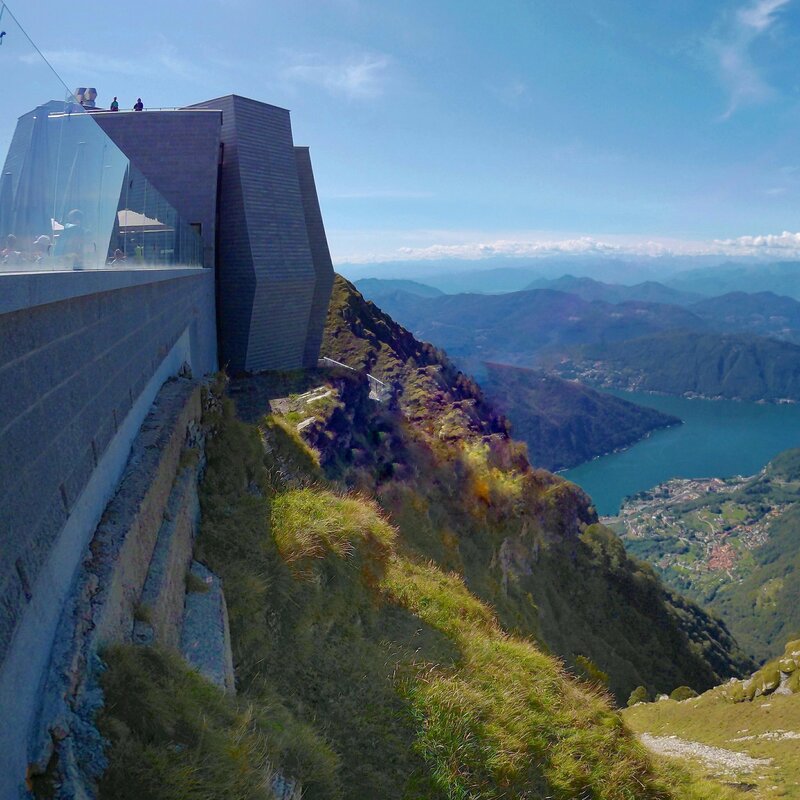 Mount Generoso offers breathtaking views of both Switzerland and Italy. There are many different hikes leading to the top, most of which you can find here. We have taken the shorter (4 hour) hike from the Bella Vista parking lot. 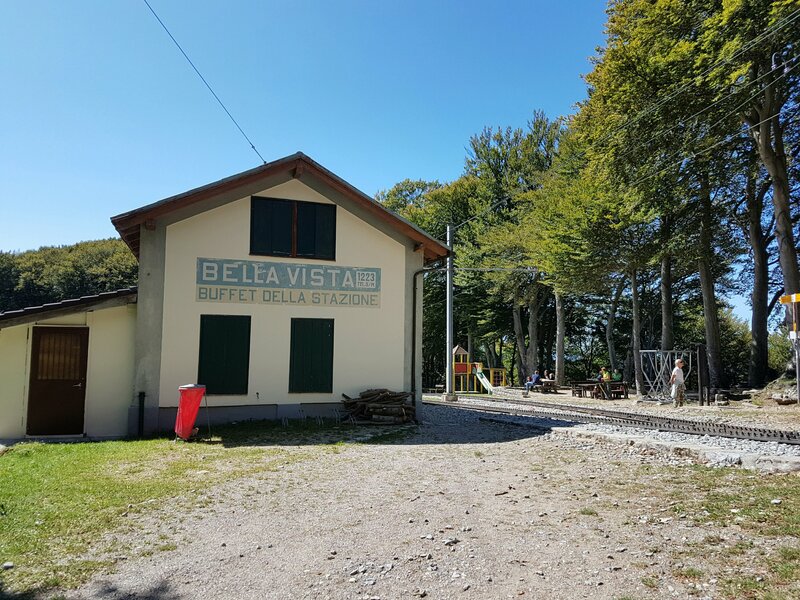 You can take the train from Riva San Vitale, hike from Mendriso, or drive to the Bella Vista station. From the Bella Vista station you can park in the parking lot and begin the hike. It is about 2 hours to the top. 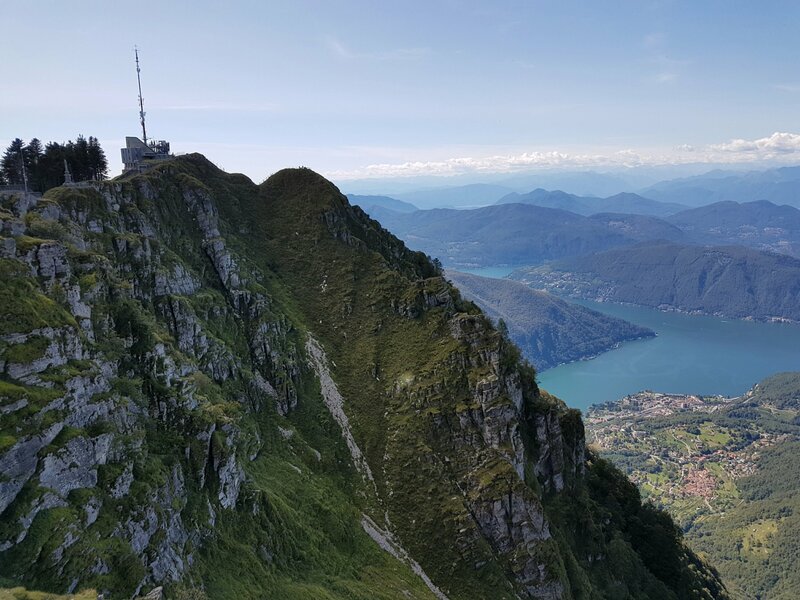 Once you arrive to the top you can see Lake Lugano below. You can enjoy a self serve restaurant or a sit down restaurant with 360 degree views below. You can also access the roof for even more incredible views. We thoroughly enjoyed this hike and the views it had to offer. The hike down takes about half the time, which makes it a little under a 4 hour hike round-trip from the Bella Vista parking lot. The Tibetan bridge is a pretty impressive 270 meter long bridge that connects from Curzùtt to Via delle Vigne. We found the easiest way to hike to the bridge was to take up the cable car. It is a small car so on busy days the wait may be long. This is not a problem if you decide to hike up. The hike from the top of the cable car to the Tibetan bridge is about an hour. When the cable-car reaches Curzùtt you can hike through this darling little village. There is a small restaurant and restrooms. There are also picnic benches and a park where we enjoyed a picnic before starting our hike to the bridge. The trails are easily marked and pass beautiful scenery along the way. There is an 11th century church along the trail that is pretty impressive. When we reached the bridge there was hardly anyone on it because we were late in the season. The kids enjoyed running back and forth, but I must say this is not a bridge for those afraid of heights. To return from this hike you do have to turn around if you want to get to your car. There isn’t a decent loop that is kid friendly, or at least what we found. It took us about 2 more hours to hike back down to our car but the hike and views from the bridge were well worth it. I would like to say this is a hidden-gem but unfortunately it is not. In the summer the crowds come flocking to this famous bridge over Valley Verzasca. Thankfully, the Valley has many hikes away from the crowds. I do recommend taking a dip in the glacier cold water either before or after your hike. It is very refreshing in the summer-time. We have managed to do a few hikes within this valley. There are trail markers throughout but many of the trails require climbing up some rocks to get to the trails. We have never found this to be a problem, even with our youngest at the time (7). There are buses which service the valley which make it possible to just hike one way and take a bus back down to your car. This is a useful website for more hiking and information in the area. The river winds throughout the valley so you can follow it along many of your hikes. This is such a beautiful area to hike through. The easiest way to experience this Mountain is to first take the funicular up the mountain, from there you can branch off into easy, intermediate or difficult hikes. There is over 90 km of hiking options. Monte Tamaro is a popular mountain for paragliding and it is entertaining to watch them glide over the valley while hiking along the trails. There is a restaurant and restrooms available at the top of Tamaro. Many of the hiking trails branch out from here. One of the most popular hiking trails goes from Monte Tamaro to Monte Lema. This trail is an almost 13 km trail, along the ridge-line, which can take the average hiker 5 hours one way. You can purchase a ticket to have the bus take you back at the end of the hike but make sure you check the schedules. If you are feeling energized after hiking there are plenty of other activities. There is a zip-line, rodelbahn and also a rope park. This is a great Mountain for the seasoned hiker and even those who just like to take in the views. If you want a workout with breathtaking views this is the hike for you. To begin the hike, you can park in the Funicolare parking lot. 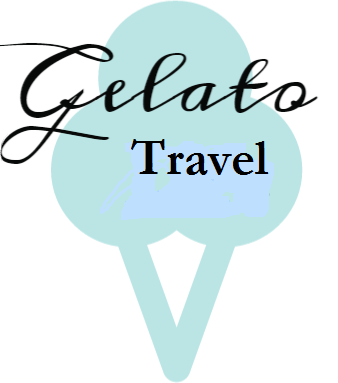 From there, walk out of the parking lot in the direction towards the lake & Lugano Paradiso train station. Once you start up the road Via Corona there will be signs directing you to the top. The signs estimate it to take about 2 hours and 40 minutes. The trail is marked with trail markers the whole way up. In the beginning, you take a short trail through the forest passing some houses along the way. The halfway point seems to be a bit after you reach the end of the trail following the tracks. Along the trail, there are a number of panoramic viewpoints. 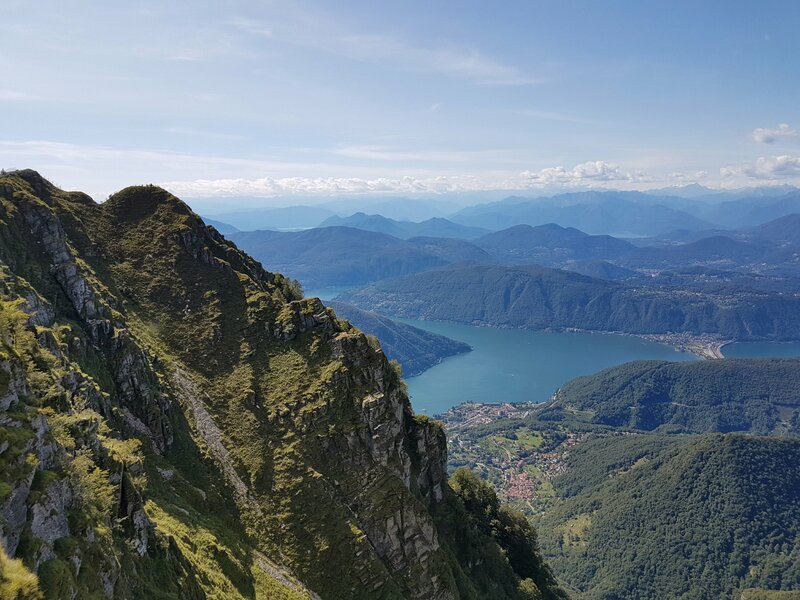 The trail winds around the Lugano side of the mountain so you are able to see many beautiful views of the city and the lake below. On a clear day, you can see Monte Rosa and other snow-capped Alps in the distance. There is also a church by the viewpoint. It is open to the public and you can go inside to see the little chapel. If you go around the backside of the church you will see a small door with stairs leading to the roof. Once you’re done enjoying the views, decide if you are going to hike or ride down on the Funicolare. The hike down is about an hour. If you’re going to take the Funicolare down, it departs every half hour. During spring and fall, the last train down is at 5 pm. In summer the last train down is at 11 pm! If you miss the tram you have no choice but to hike down. The Funicolare ride is only a 10-minute ride to the top versus the 2 1/2 hour hike, although you miss out on some fantastic views.